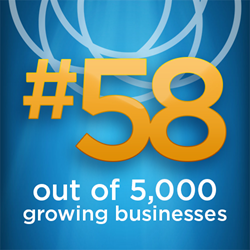 We are honored by this recognition as a significant milestone for our company. Momentum Solar, a leading residential solar service provider, has been recognized on the Inc. 5000 list for the third consecutive year and has ranked within the top 500 fastest-growing private companies in the nation for the second consecutive year. Founded in central New Jersey in 2009, the owner-operated business has expanded significantly since its inception and now provides solar education and enrollment to homeowners across seven states. Achieving a 4,617% revenue growth over the last 3 years, Momentum Solar ranks #58 out of 5,000 growing businesses and has also been recognized by Inc. as the top company in New Jersey across all industries and the #2 energy company nationwide, which firmly establishes Momentum Solar as the fastest-growing privately-owned residential solar installation company in the US. The NJ-based business will maintain its operations in the Garden State and will soon be moving its corporate headquarters to a facility that is four times the size of the current headquarters. The move is strategic in better accommodating company growth beyond 2018, having recently received a performance-based Grow New Jersey tax credit worth up to $7.2M over 10 years from the New Jersey Economic Development Authority (EDA). Momentum Solar is a top residential solar contractor and Inc. 500 fastest-growing private company that employs over 1,000 people nationwide and with operations in New Jersey, New York, California, Florida, Texas, Connecticut and Pennsylvania. The owner-operated business is committed to providing savings for their customers and helping the environment by providing clean, affordable electricity to qualified homeowners. Momentum Solar manages the entire customer life cycle from enrollment through customized design, engineering, permitting, installation and activation of each system to make the process simple.